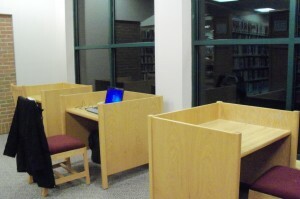 Inexplicably, my favorite carrel has been moved! It’s in the same place, but it has been rotated ninety degrees left. Why, I do not know… But it’s now absolutely undesirable. 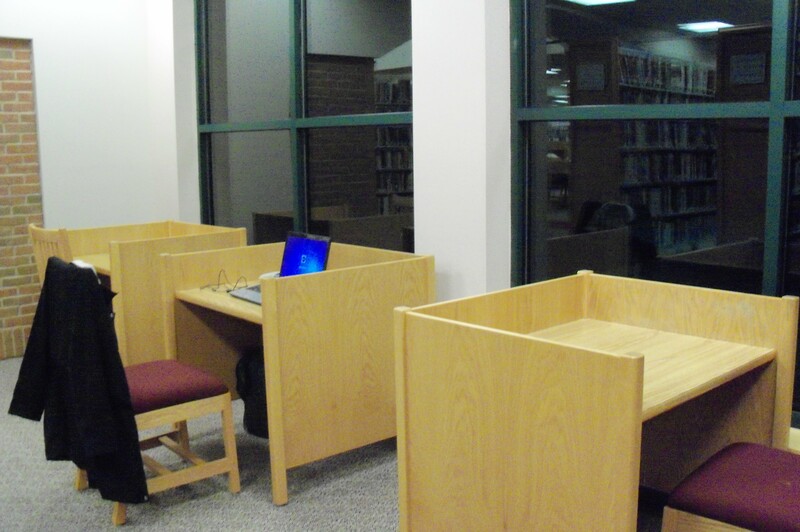 Imagine all three carrels inhabited. Dang. 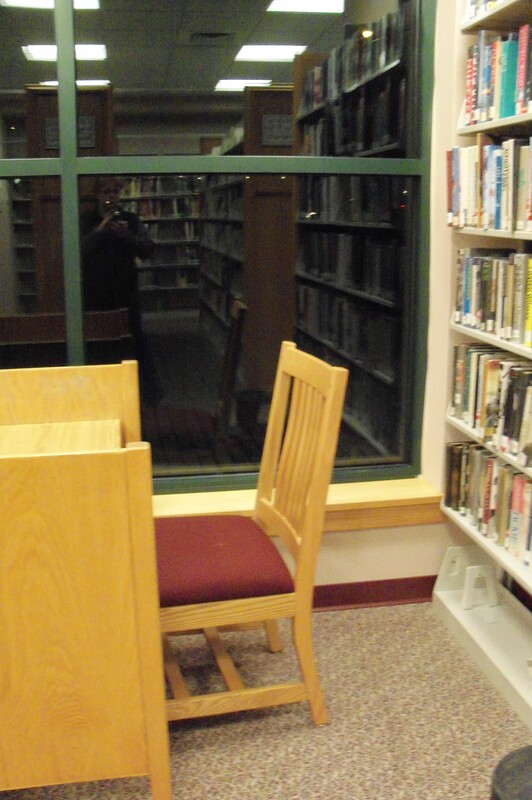 There aren’t many places in this lovely library that have both privacy and a window. I’d rotate the desk back, but it’s a two-person job. I’d go and ask the librarians for help, but — no, I am alone right now, and do not wish to interact with anyone, thank you very much. I’d move to the far left seat, which is second best to the far right one, but that’s often inhabited by a young African-American student who clearly also values solitude and a window. I don’t want to commandeer it, should he show up tonight. I’ll sit in the middle. Meanwhile, down to work — but first , your traditional random quote. That grabbed me so hard that I’m going to borrow this book. Some quick internet research tells me that John Haines is quite famous, though he is new to me. They don’t give two Guggenheim Fellowships to just anyone. Not to mention all the other awards. 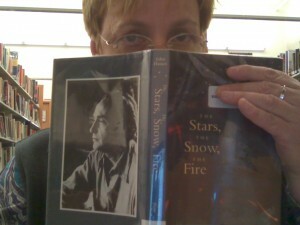 This just reveals how uninformed I am on contemporary poets. And, alas, Haines passed away last year, I see — here’s the NY Times obit. Well. Enough maundering, and more pondering….